Everything for home, reno, decor, outdoor living and backyard. 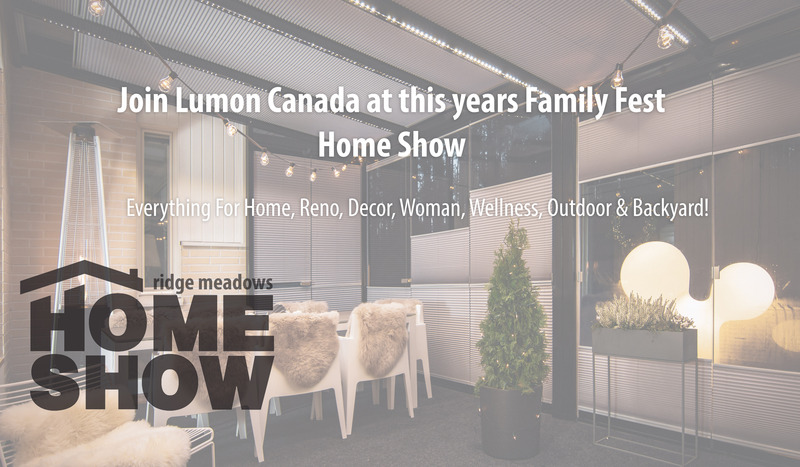 Meet the Lumon team where you can speak directly with our design consultants who can show you live demonstrations of our frameless retractable glass walls systems that allow you to enjoy all four seasons from the comfort of your own home. What could be more enjoyable than sitting with friends on your balcony enjoying a cofffee, or out on your terrace during a winter sunset. Life at home can be better and cozier.